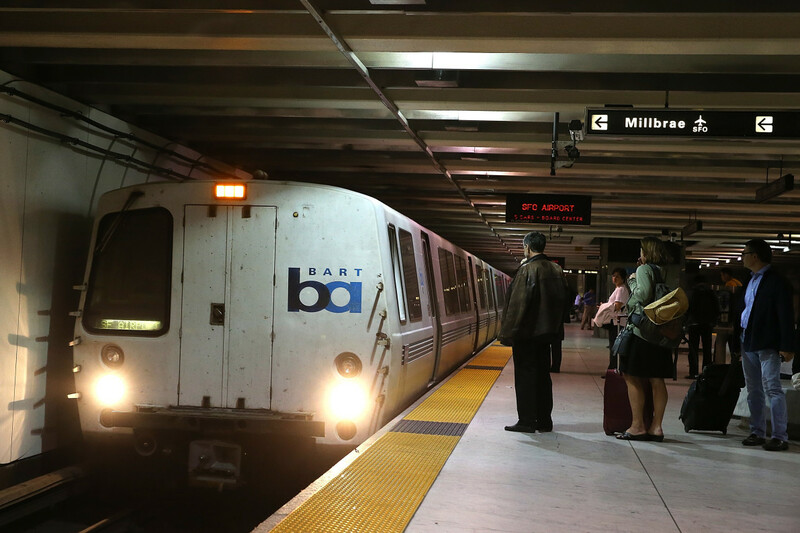 San Francisco’s BART system (Bay Area Rapid Transit) will begin shutting down elevators on Thursday to clean up (and prevent) future urine smells, SFist reports. But rather than working to stop people from peeing in the stations, it will instead spend $340,000 on science-fueled solution that will simply cover up the problem. In addition to reglazing 80 elevators with a liquid-proof coating, it is also installing a system with enzyme misters — aptly named “Urine-B-Gone” — to neutralize bacteria on an hourly basis. BART toyed with a few possible solutions to this ongoing problem of people using the elevators as restrooms. One idea was making the elevators glass to discourage urination via shame. Another was aluminum flooring, which turned out to be aesthetically displeasing. Then officials decided on stainless steel, but the material separated too easily from the structure, and led to even more liquid seepage. If the third time is the charm, this nontoxic spray coating could be one part of an effective, multipronged solution. With this in mind, another measure includes installing a “Fit Pit” system that will self-pump flood water out. Trost says this is a pilot system they are testing at the Civic Center station in downtown San Francisco. Ultimately, these fixes don’t address the real issue, which is getting people to stop urinating in the elevators. Most accounts assign blame to the city’s increasing homeless population, who’ve taken up residence in the stations due to rising rents driven by the Silicon Valley startup culture. But other passengers say they’ve seen regular riders urinating in the elevators, too, and that homeless are just a scapegoat for the issue. Trost says they are working on reopening the restrooms which have been closed in recent years. And though BART is a special district agency, separate from the city of San Francisco, there is a partnership between BART and the city’s Human Services Agency in the works to increase efforts to connect the homeless in the station to services. Trost says they’re currently working out the funding agreement with the mayor’s office. Until then, the elevators will likely to continue to be used as restrooms, but at least they’ll smell better. And of course, none of this deals with the issue of feces on the escalators in the stations, which at one point became so voluminous that it broke the machine parts. Those are currently being fixed.
. But rather than working to stop people from peeing in the stations, it will instead spend $340,000 on science-fueled solution that will simply cover up the problem. In addition to reglazing 80 elevators with a liquid-proof coating, it is also installing a system with enzyme misters — aptly named “Urine-B-Gone” — to neutralize bacteria on an hourly basis.